People are hacking other people all over the world, all the time. That's given the term "hacker" a pretty negative connotation. However, legit "white hat" hacking is vital for testing website and device security. 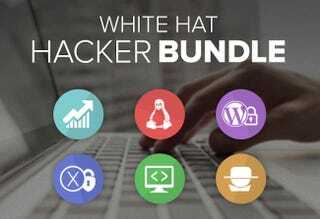 This bundle of courses teaches the ethical route into hacking for you io9 readers. Currently, these 6 courses — which total 40+ hours of content — have 92% off, making the total price $49.